Contingent on financing, inspection and appraisal. Accepting Back up offers. 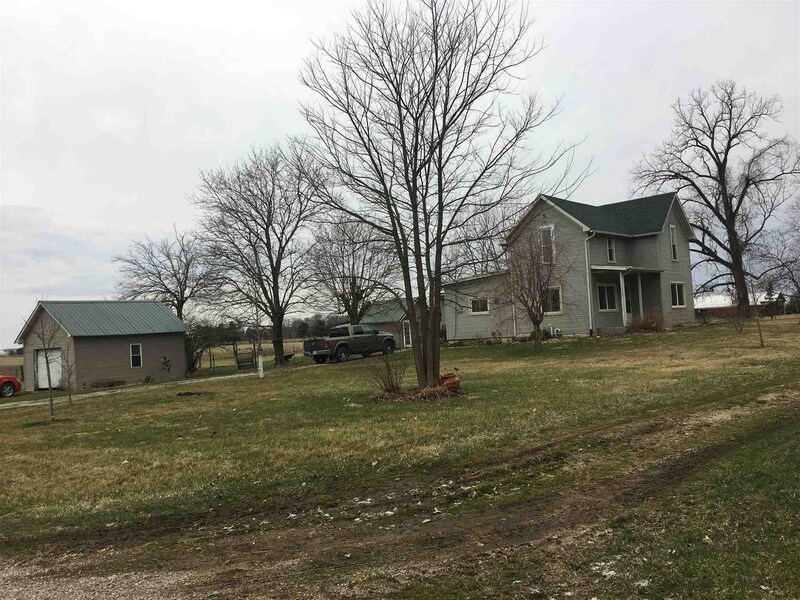 Great country property with just over 2 acres, beautiful 4 bedroom farm house with oak hardwood floors, newer carpet, 200 amp electric service in 2018, water softener 2017, roof in 2013, furnace in 2008, & 5" well in 2009. All appliances remain, refrigerator & stove new in 2014, washer 2017, dryer 2012 with new timer in 2019, dishwasher new 2019 & new garbage disposal in 2018. Master bedroom is on the main level & 3 bedrooms upstairs. Nice size living room, dining room and kitchen. This great country property has 3 outbuildings with fencing & everything in place for your own mini farm.